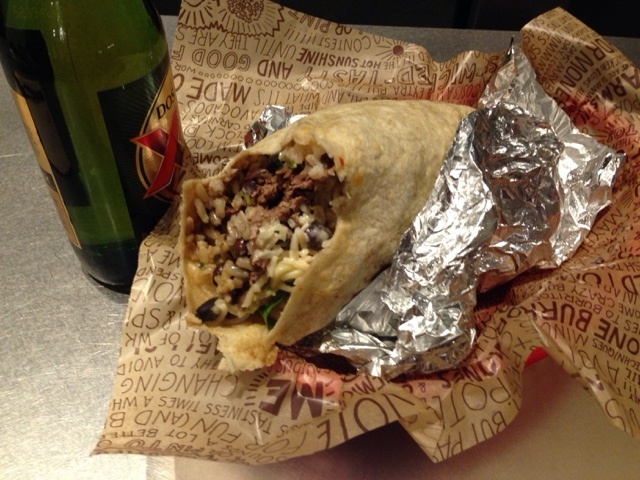 Dinner last night at Chipotle, on Huntington Drive. Got the Barbacoa beef burrito ($7.70) with guacamole ($1.95), and a premium beer ($4.15). I took a few bites so you could see inside. As always, very good.